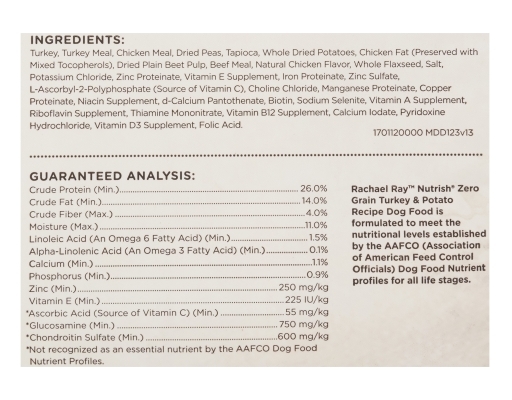 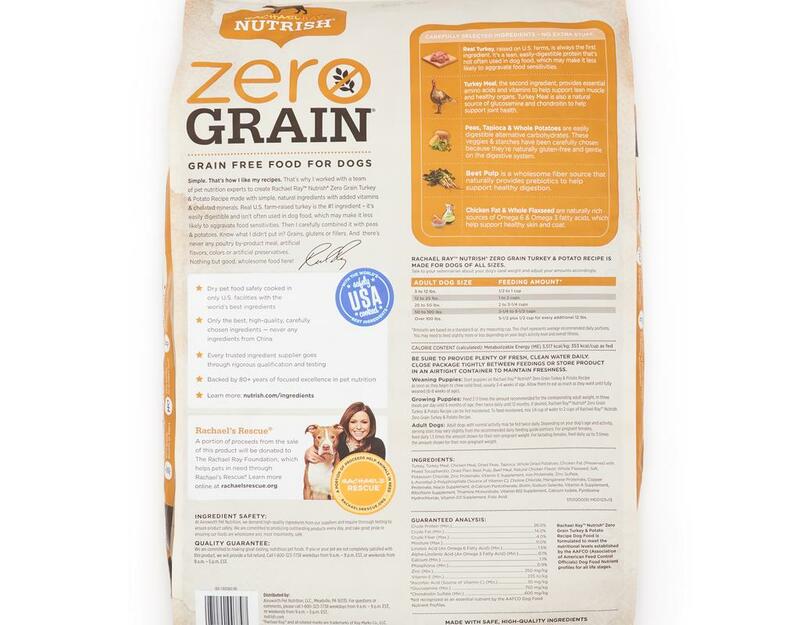 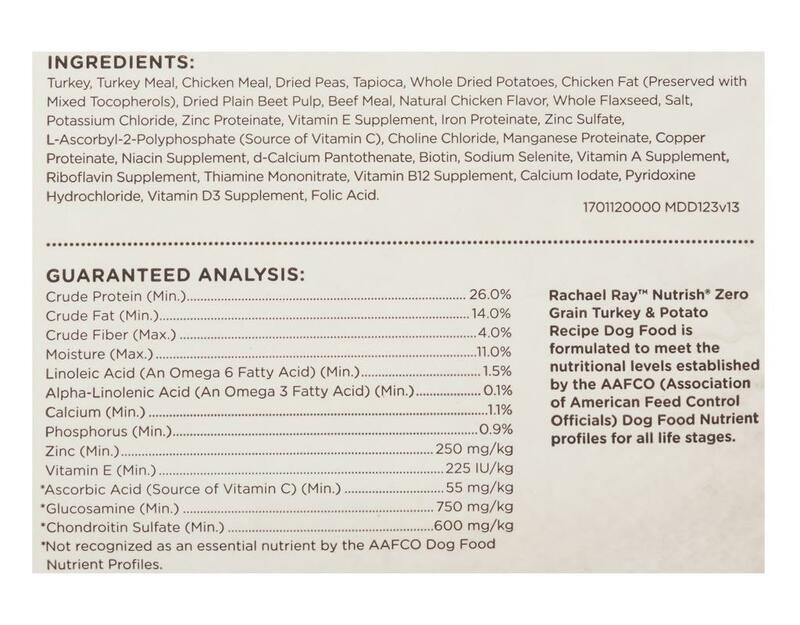 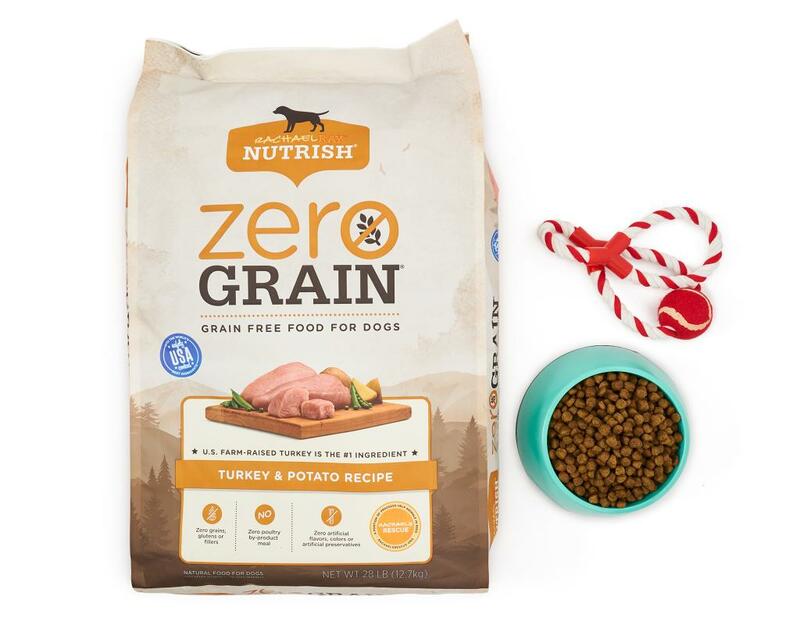 Rachael Ray Nutrish Zero Grain Turkey & Potato Recipe is made with simple, natural ingredients, like real U.S. farm-raised turkey, which is always the number one ingredient, combined with wholesome vegetables, plus the vitamins and minerals that your dog needs for a complete and balanced diet. 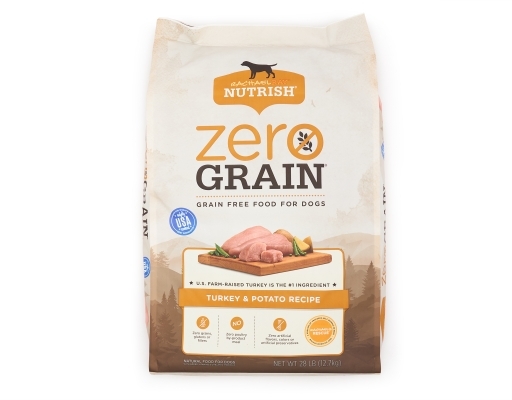 And there are never any grains, glutens, fillers, corn, wheat, or soy. 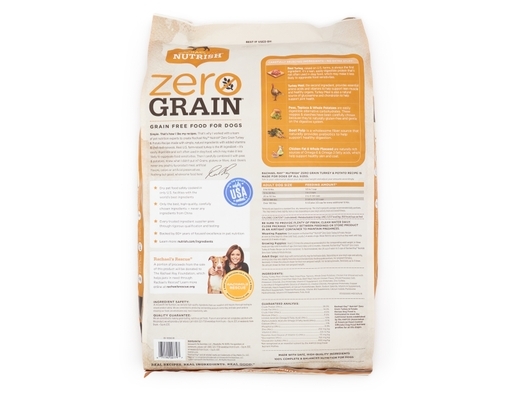 • Zero grains, glutens or fillers with no corn, wheat or soy.